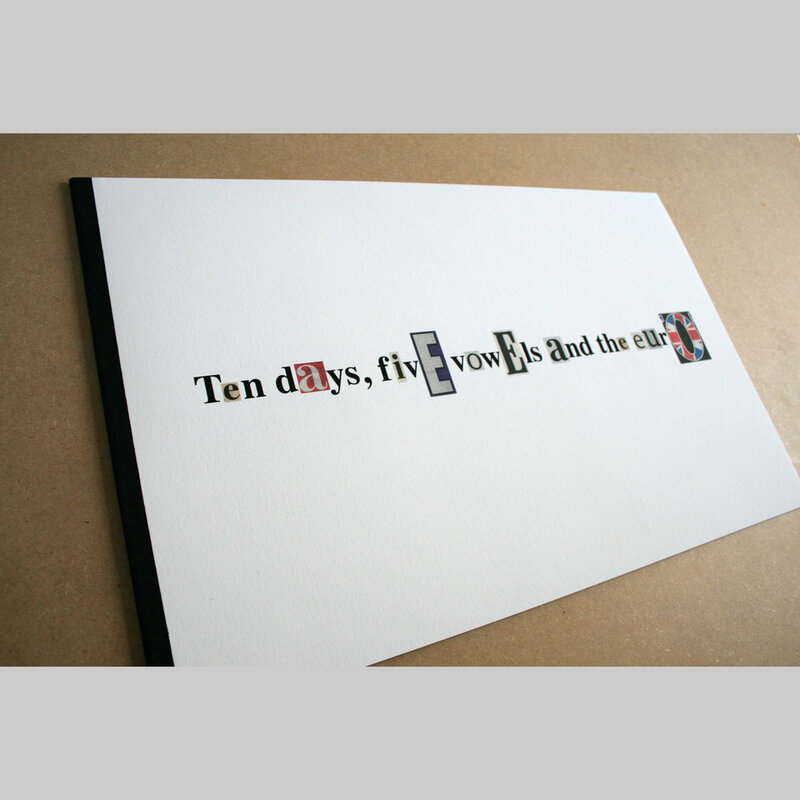 Ten Days, Five Vowels and the Euro is a new book by Rachel Tweddell which plays with a key rule in the visual language of newspaper layout: the more dramatic the headline, the larger the font size. Vowels have been cut out from the front pages of British newspapers as they reported on the Eurozone crisis, and arranged in size order to represent mounting drama. Seen together, the vowels spell out a set of impassioned sounds or exclamations, in no particular European language, which seem to grow in volume as the crisis deepens. The vowels taken from tabloids are by far the largest and the loudest, while the broadsheets seem to speak in hushed tones, with gradual crescendos. The most softly-spoken of all is the Financial Times, which never changes the font size on its front page, no matter how dramatic the headline. 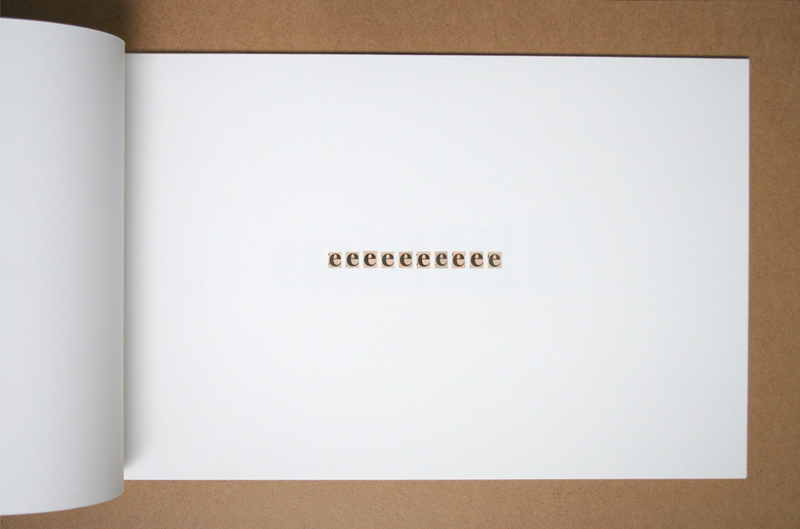 Within each book the vowels are forced into dialogue with each other. In an infinite incoherent argument, they manage only to make their central dilemma clear: they need each other but they are endlessly incompatible. There are three copies of this book and each one contains five original collages. Each set of collages stands as a minimal, alternative report - part-acoustic, part-written - of the escalating eurozone crisis as it stood in February 2012.